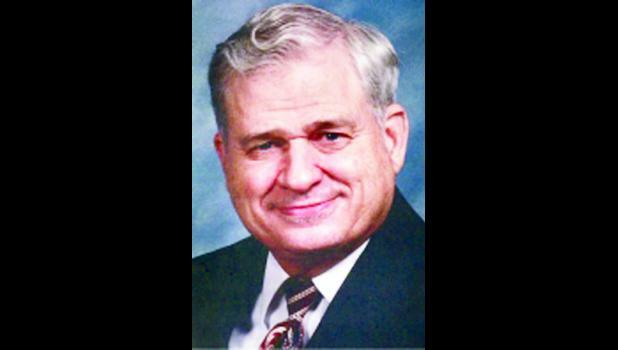 The Kansas banking industry has lost one of its most influential bankers in the eastern part of the state with the death of Martin Schifferdecker, 80, of Girard. A news story and obituary for Mr. Schifferdecker are also published in this edition. My acquaintance with Martin Schifferdecker goes back to the mid-1980s when I was the editor and publisher of The Yates Center News. Oil and natural gas prices were plummeting at the time and the local economy was on the rocks. Woodson County, about 75 miles south of here, has significant oil and gas production. The Yates Center State Exchange Bank reportedly was in dire straits due to a heavy amount of oil and gas loans and some stricter banking regulations that were being imposed. At a time when the future did not look good for the local bank or the Yates Center community, Girard National Bank, under new banking regulations, was able to purchase the assets of the State Exchange and the Yates Center Branch Bank emerged as the new bank for the community. I wrote an editorial for the newspaper reassuring the community that branch banking was a good thing for us and so was Girard National Bank. The opinion proved to be true. Schifferdecker, when we next met, thanked me for the vote of confidance and we became friends. Over the years, I received several hand-written notes from him about things happening in our community. It was clear that he kept track of the community through the newspaper. As chance had it, when we moved to Holton several years ago, he and Girard National Bank also ended up here eventually with the acquisition of what is now Holton National Bank. At that time, I was happy again to write that GNB working in the community would be a good thing. And it has been. GNB, without Martin Schifferdecker, will be different because what he brought to the business can't be replaced. The day to day management of the business several years ago, however, had already been turned over to the next generation of Schifferdeckers, son Mark, so no changes are expected with regards to the bank group. Martin Schifferdecker worked a lot behind the scenes for the betterment of his Girard community and the communities inwhich he owned banks, such as this one. He was a good guy as the people who worked with him can attest.